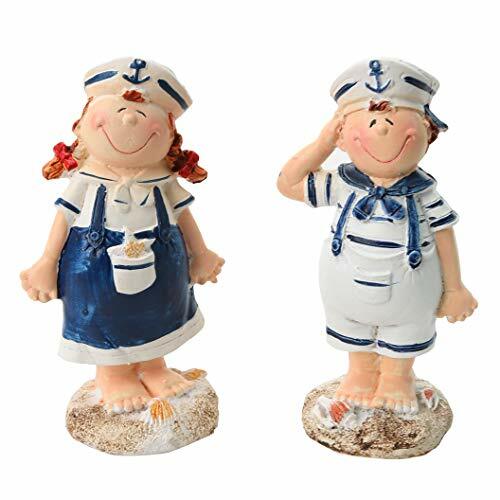 For anyone who has thought fondly of childhood days spent at the water's edge, this centerpiece for your garden wall or accent piece resting on your favorite fisherman's desk is a heartwarming work of art. 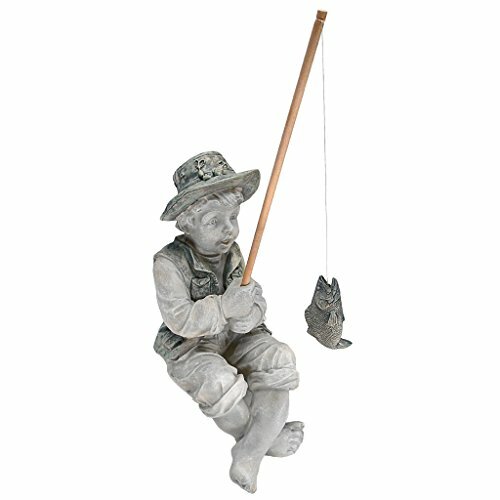 Cast in two-toned designer resin exclusively for Toscano, Frederic is incredibly detailed, from his floppy hat to the finned fish dangling on his pole. 9.5"Wx6.5"Dx15"H. 4 lbs. The Go Away! 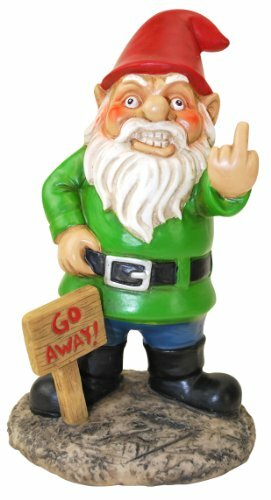 Garden Gnome gives unwanted visitors the middle finger to let them know you don't want anyone around. Stands approximately 9 1/2 Inch tall. Made of resin and is weatherproof. 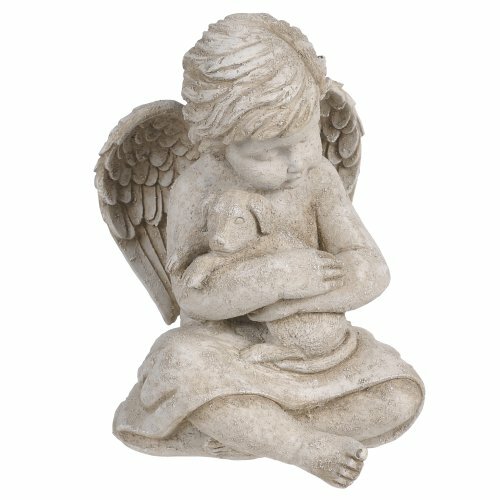 This German Shepherd Dog Statue stands at 13.5" tall, 9.5" long and 6.5" deep approximately. This German Shepherd Dog Statue is made of designer composite resin, hand painted and polished individually. Color tone may vary from pictures. Figurine comes with a collar that jingles and a latch hook sign that says "I Don't Dial 911" on one side and "My Shepherd Watches Over Me" on the other side. 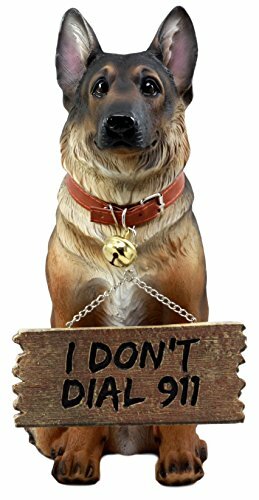 Have this bad boy by your entrance or anywhere in the house to greet your guests with humor as well as to remind others that you dont need to dial 911 when your German Shepherd is watching over you! 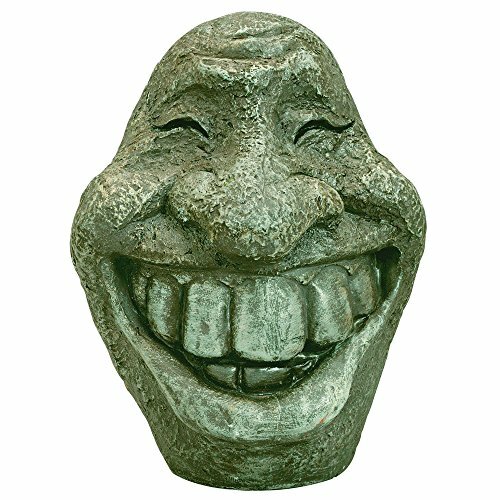 Big Stone Smiley Face is a resin garden statue of a goofy face with large teeth and a wide grin. 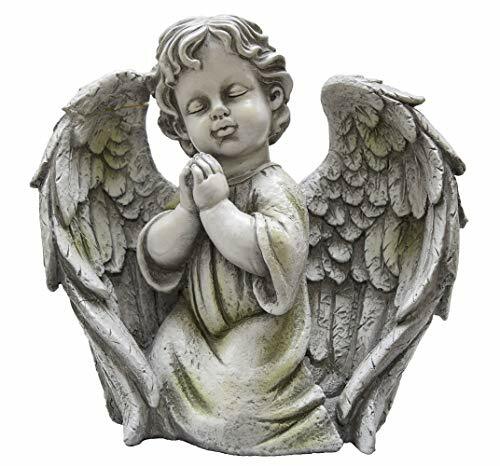 Brighten up your garden, porch or patio with a nice big smile by setting up this clever ornament made to look like real stone. Makes a great home décor gift for the garden. Cast in lightweight, weather resistant polyresin. Big Stone Smiley Face measures 8" tall x 6" wide. 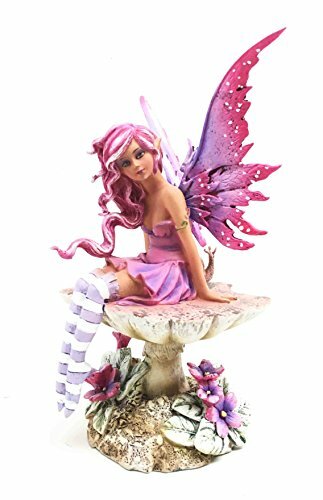 This beautiful Amy Brown Magenta Fairy Sculpture is made of high quality polyresin. It is meticulously hand painted and polished. Color tone may vary from pictures. This beautiful Amy Brown Magenta Fairy Sculpture measures approximately 6.5" tall, 4.5" wide and 3.75" deep. This bright fairy will add a splash of color to your home! The pixie is based on artwork by renown fantasy artist Amy Brown. The little fae has pink and white streaked hair, and her matching wings and dress are violet and magenta. Flowers in the same bold hues bloom underneath the toadstool that the little lady sits upon. The perfect collectible for any friend of the faeries! Licensed artwork by Amy Brown. 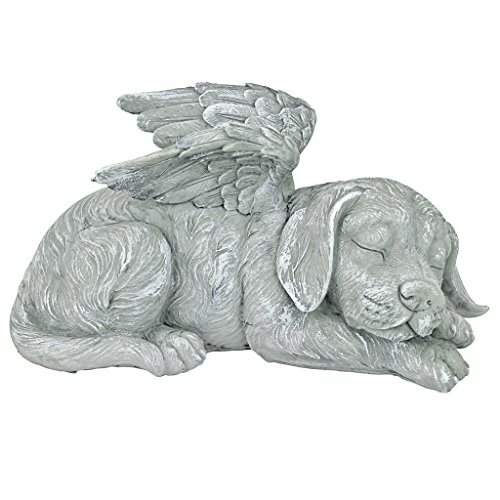 Shopping Results for "Boys Best Friend Garden Statue"